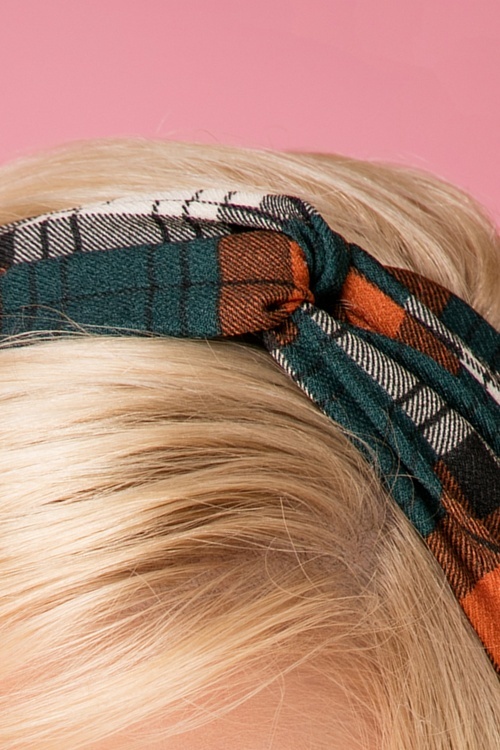 This wonderful 70s Twist Plaid Headband in Rust and Green will add the finishing touch to your fabulous 70s look! Made of a soft, chequered fabric in dark green, rusty brown, white and black with a playful knotted detail at the centre and elastic at the back. Stylish with a twist! So pleased to open my box ! My headband matches perfectly with my orange skirt. My stripes top is perfect for a 50's look ! My black velvet headband is very warm, perfect for the Winter coming. The bag is so classy ! Thank you Topvintage !